Do you know this tree? 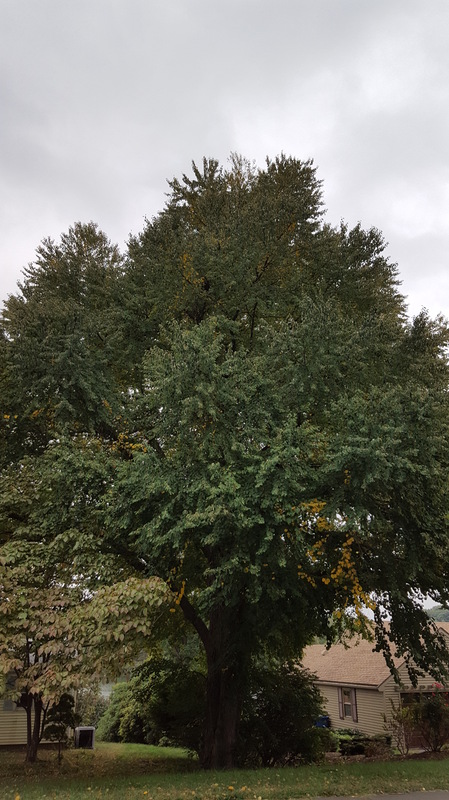 It is a Katsura tree. It also comes in a weeping form. It looks pretty unremarkable now. You can just see touches of its yellow fall color showing up on some of the outer branches. Over the years, I have even picked up hands full of the fallen leaves to sniff to try to find a scent, but nothing. This year is entirely different. I can be on the opposite side of the street and get a scent from the tree. What does it smell like? Some people say chocolate and others say vanilla. I will just say that it smells sweet. And it’s not a strong, cloying sweet like some of the plants (my snake plants come to mind here). It’s just a sweet scent in the air that if I didn’t know that the tree had fragrant leaves, I would be losing my mind trying to find the flower making the scentrip. Obviously it is a large tree so it is not right for every home. But if you have the space for a tree like this, you might consider planting one. It will surprise you. I will have to look up what a katsura is, what family group is it from do you know? looks interesting. we have tons of sassafras and they smell wonderful and are multicolored in the fall and they get pretty blue berries onthem. my hubby keeps wanting to cut it down (we did one because it was sick) but many have taken it’s place and are beautiful and abundant. and I wont let him cut them down. There are only two members of this family group and they are both Katsura trees. They are not native; they have been imported from Japan and China. But they have been here for decades and you will even find botanic gardens recommending them so there is no problem with them being invasive. Sorry to hear about the problems with your sassafras. I love that tree. I love the shape of the leaves.